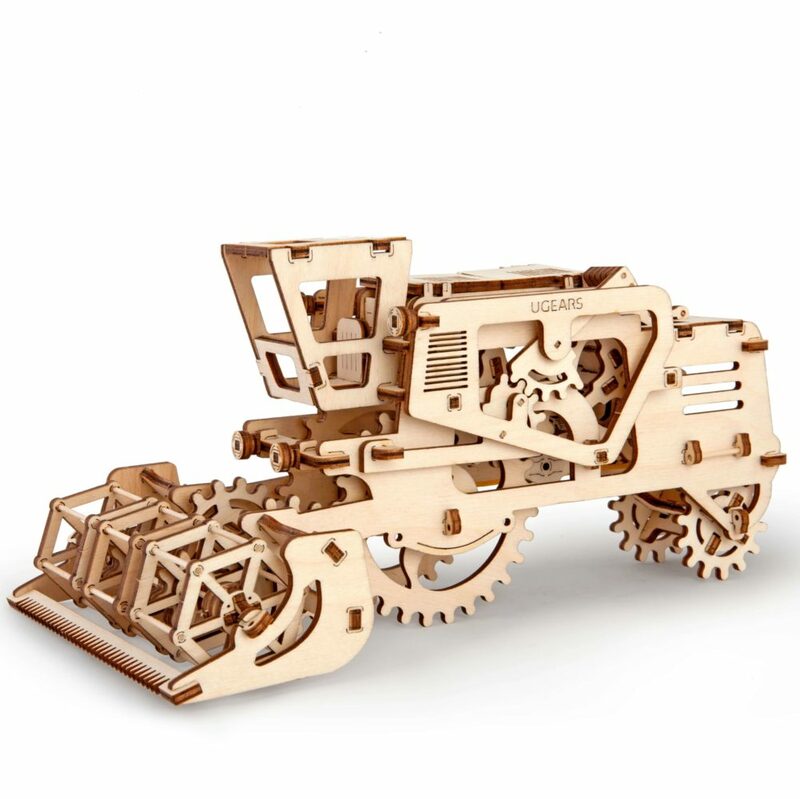 Bring in the crops with this working Combine Harvester! 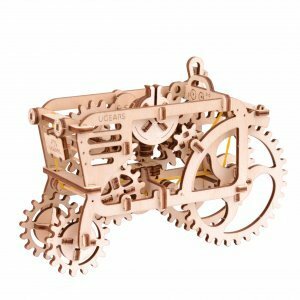 Ugears Original Combine Harvester model is a top-notch example of the wonders of mechanics. 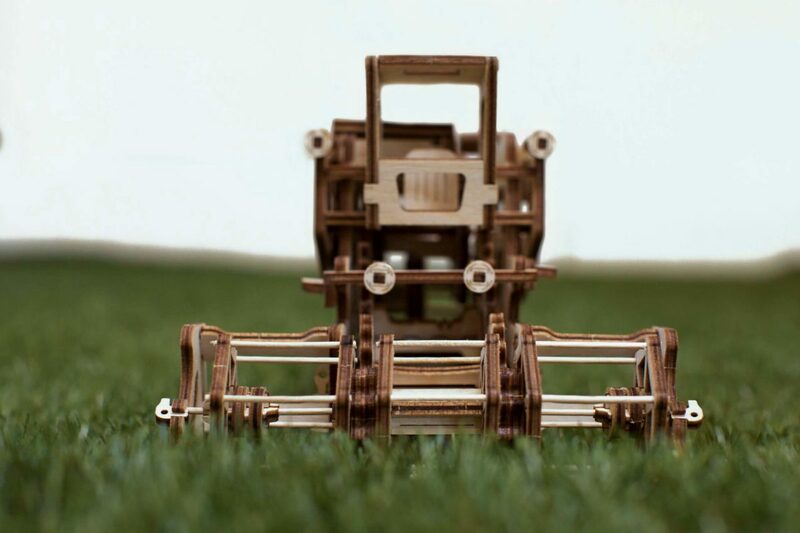 Just like a UgearsmodelsTractor, the Combine is set in motion by its rubber-band motor. 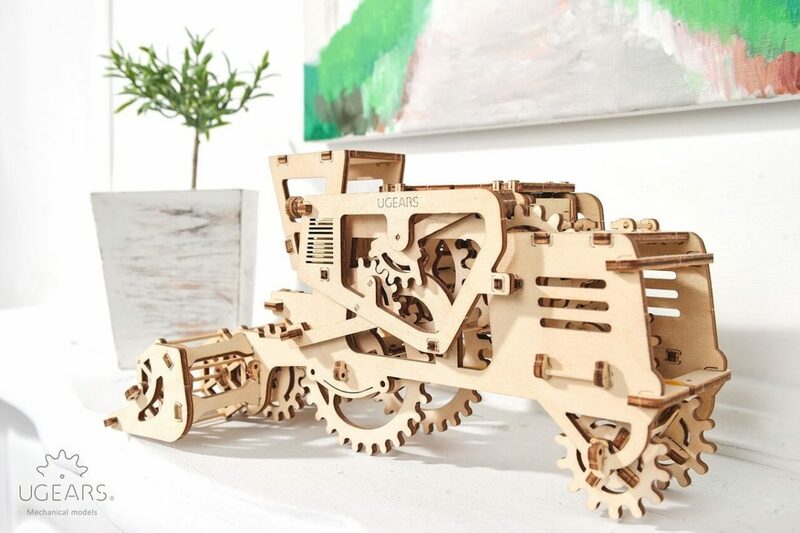 Roll it backwards to power the motor up, release the handbrake, and watch it head for the fields with its spinning wheels and rotating cutter board just like a real harvester. A hidden storage compartment in the back gives you a place to keep your heirloom seeds for next season or could be used for sending love notes to your favorite farmer. 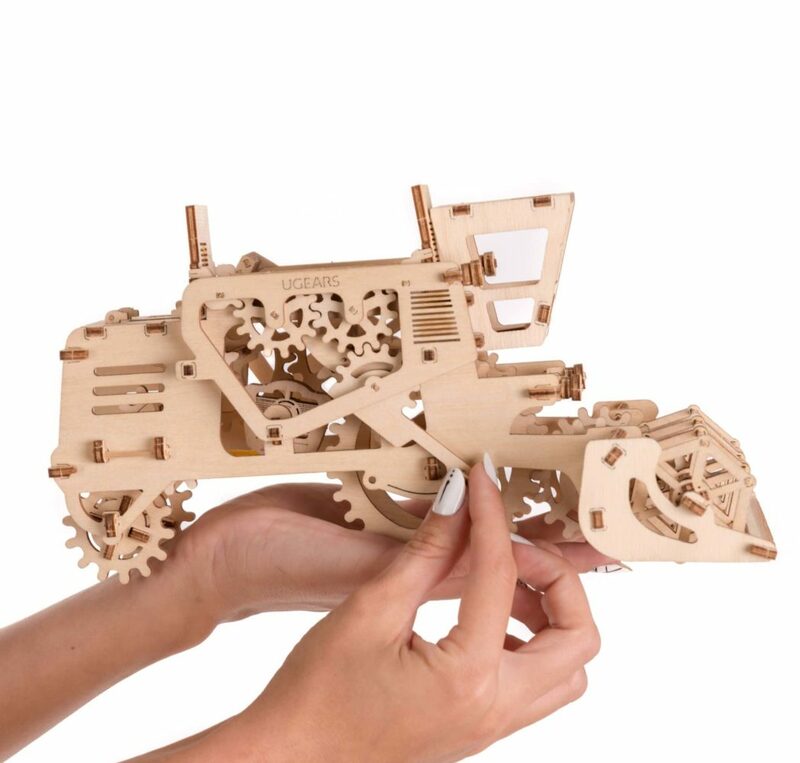 Despite its complexity, this model is extremely easy to use and play with when assembled. 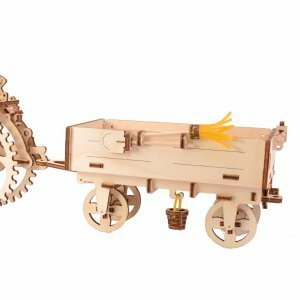 The rubber band engine is wound up by dragging the Harvester backwards or spinning the large back wheel. On the other side of the driver’s cabin there is a “handbrake” lever that stops the motion and sets UGears Combine Harvester in place. 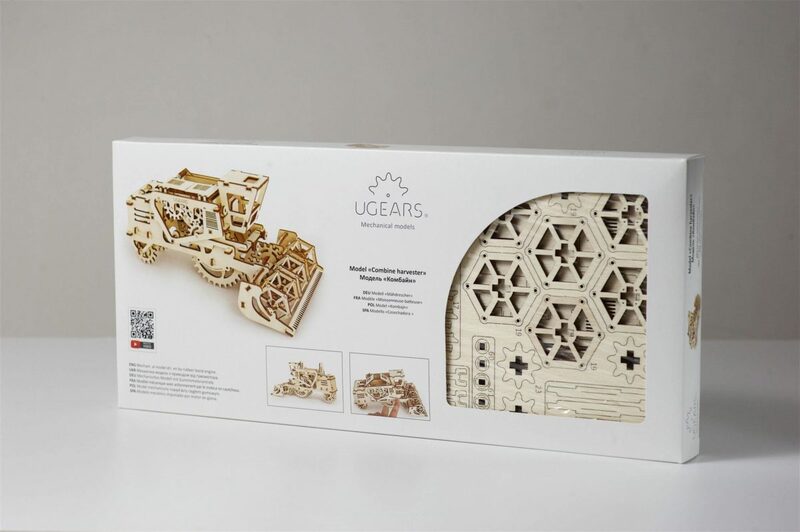 Ugears Combine was a gift for my sons from they aunt Sam and uncle Lui. Both boys loved the combine, because it is just a work go art. This is nothing less of a a real miniature combine! I also loved the material this puzzle is made or. I could tell its made of real wood because it smelled like fresh cut wood! 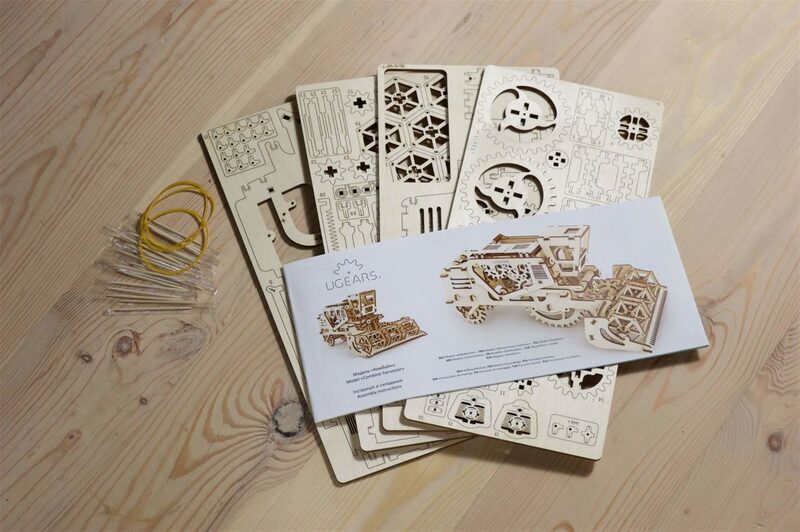 I bought ugears combine for my son to keep him occupied during the winter school break. The model seemed harder than it was shown on website and my son had been giving up on it several times. On the 3rd time he got really involved in building a combine. He spent about three evenings completely absorbed into his puzzle, but I had to help him as he became frustrated several times through the process. The result was absolutely amazing! the combined moved and looked like real thing! 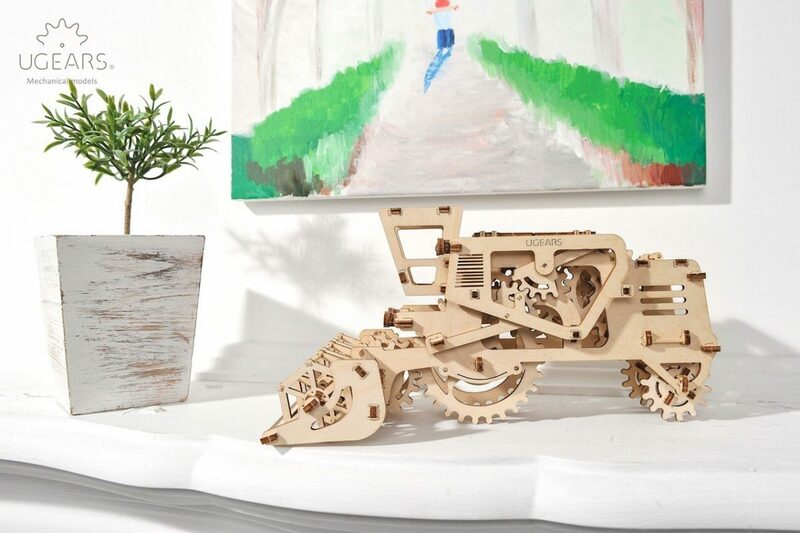 the coolest part is that it moves withoutiut any batteries to electricity or anything of such! 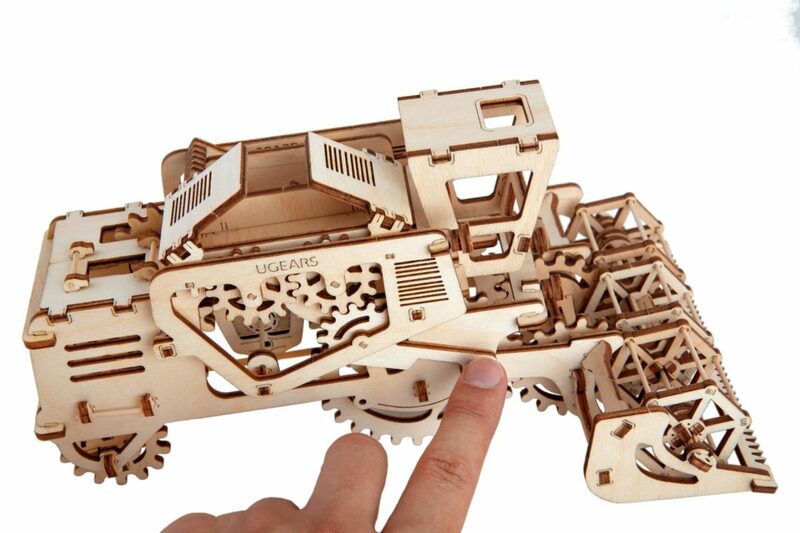 What an original idea of a 3-d puzzle! 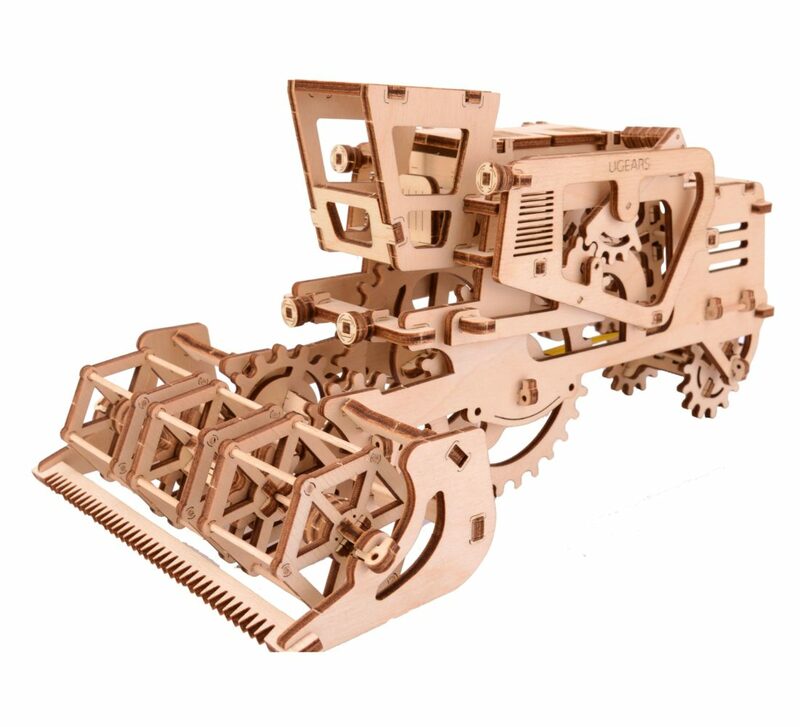 It is very interesting to work on, and the final product is phenomenal because it is just like a real combine! I like the whole vehicle line of puzzles made by this company and will look forward to purchase other models in a future.